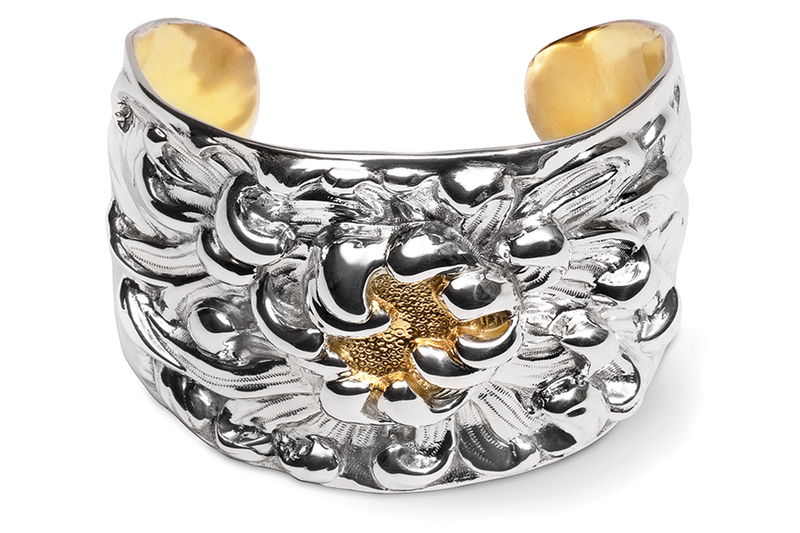 The Peony Cuff makes a bold statement with deeply sculptural swirls of petals etched with tiny engraved texture. This bracelet is a repoussé connoisseur's favorite and is considered our tour de force. The richly weighted bracelet measures more than 2” at its height and is 6.5” around.